In addition to their new smartphone camera in the form of the new Lenovo Vibe Shot which was unveiled today at the Mobile World Congress (MWC) 2015 technology event taking place in Barcelona this week. Lenovo has also taken the wraps off a new Lenovo Miix 300 Windows tablet that has been added to the company’s range of tablets this week. Lenovo has priced the new Windows tablet at just $149 and will be making it available to purchase during July of this year. The Windows tablet is powered by a Intel Atom Bay Trail processor supported by 2GB of RAM and comes with options to install 64GB of storage. The 8 inch display takes the form of an IPS touchscreen screen offering users a resolution of 1280 x 800 pixels and is powered by a battery that is capable of offering up to 7 hours of working life. Together with 2 megapixel front facing camera for video calling, together with a 7 megapixel rear facing for video and photographs. 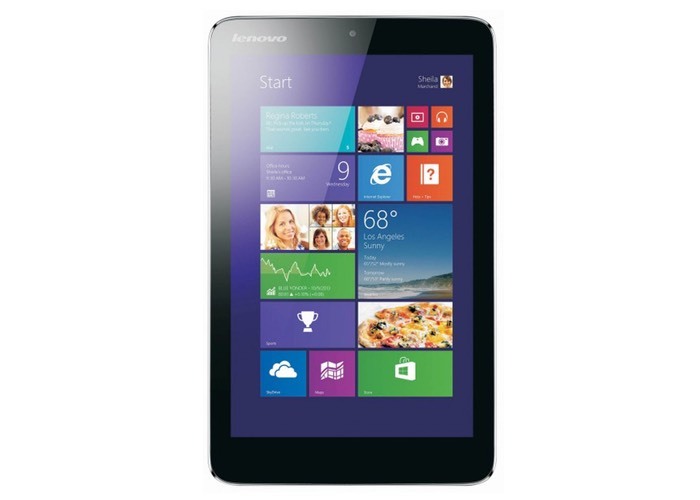 The Lenovo Miix 300 is supplied with a 12 month subscription to Microsoft Office 365 and comes running Microsoft’s latest Windows 8.1 operating system and connectivity is provided by 802.11b/g/n wireless and Bluetooth connections.